One presentation skills technique that we address in PresentPerfectTM is focus. Because that’s the focus on the three main attributes of presenting; really essential for more effective presentations. So, what are these 3 attributes? Because, taken together they will help you achieve more effect with your presentations. 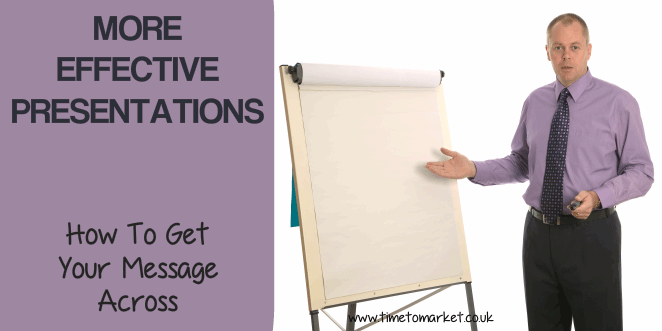 Therefore, in this presentation tip we take a look in more detail at how to get your message across for these more effective presentations. 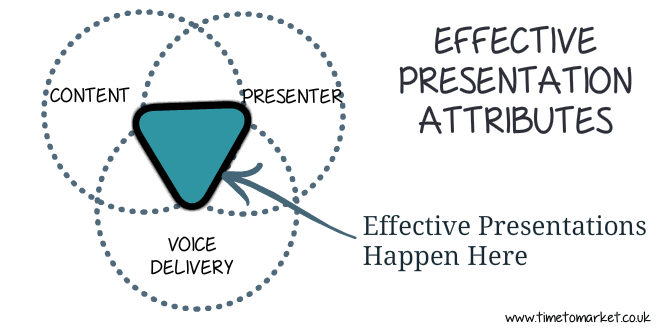 Good presenting involves all three attributes working together to the same consistent goal. So, that’s your goal for an effective presentation, Keynote, PowerPoint or otherwise. Informative. And it should support the main presentation purpose. Illustrative. So it should use graphic illustration where possible. Factual. But it must convey facts required to back up the information provided. Observation and Anecdotes. Also, where possible aim to use stories and anecdotes. Tone. Change your voice tone for specific effects. Modulate. Try to alter the speed at which you present. Pause. Because when you pause properly it’s a superb result. Volume. So your audience shouldn’t struggle to hear you. Language. Just make sure that your language is consistent with your audience. So, avoid the presentation jargon problem. Animated. Aspire to be animated, but don’t be a caricature of yourself! Body language. Because every movement you make could be subject to some interpretation. Be aware! Attire. Aim to get the dress code right. So then you look your best. Listening. Listen for audience reaction to the points you make. Then take action. Seeing. Gauge the impact of your presentation on the audience. So then take action. Therefore, aim to focus on all three main attributes: That’s your content, your voice delivery and you, the presenter. Because when you achieve this, then you have a good chance of achieving a more effective presentation. For more skills tips, you can always attend a presentation skills training course. And you will never be that far from your nearest course, since we use a network of more than 40 training venues. So, when you are ready for more effective presentations, please don’t hesitate to call.